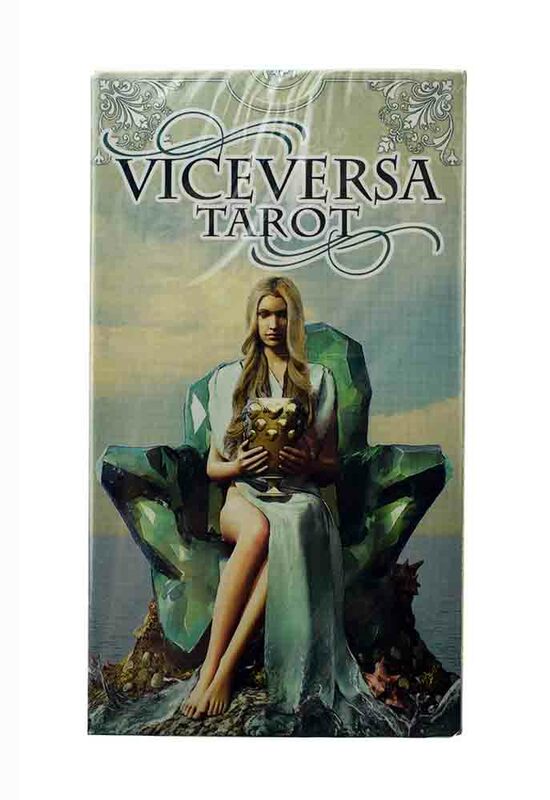 Add a whole new dimension to your Tarot readings with the extremely creative and unique Vice Versa Tarot deck. The Vice Versa Tarot features art on both sides of the card, one side showing the front view and one side the back view. Like the two sides of a coin, the Vice Versa Tarot gives perspective and flow, capturing the energy of day and night, action and understanding.